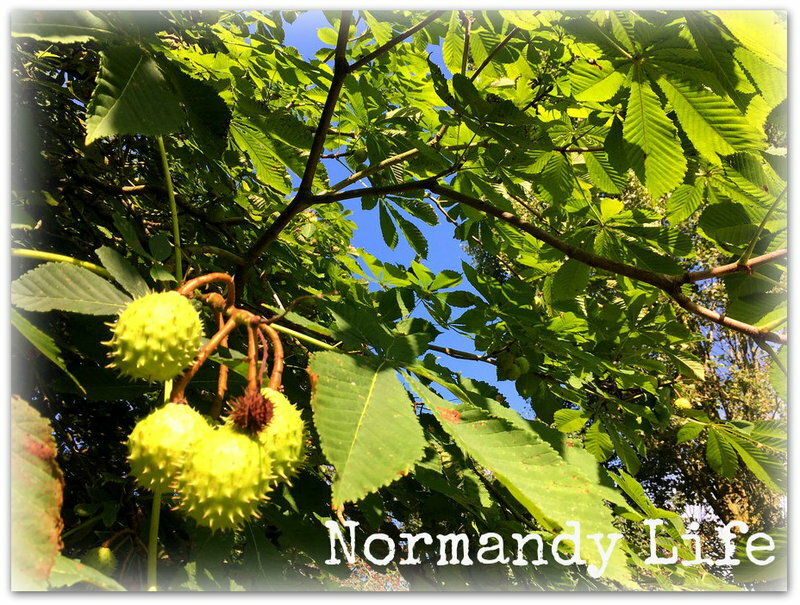 Normandy Life: Mosaic Monday # 69 - letting go of hygge? No, I didn't think so. Mosaic Monday # 69 - letting go of hygge? No, I didn't think so. I first heard about hygge, the Danish lifestyle concept of comfortable coziness, about two maybe three years ago when the internet was suddenly buzzing with ideas of how we could incorporate hygge into our daily lives. The Oxford English Dictionary included hygge in it's list of words of 2016. A quality of cosiness and comfortable conviviality that engenders a feeling of contentment or well-being regarded as a defining characteristic of Danish culture. I heard a rumour last year that a Swedish word "Lagom" which means "just the right amount" had replaced hygge as a life concept, I wasn't personally ready to abandon cosy but I liked the sound of lagom too. It fits right in with the Simple Abundance: A Daybook of Comfort and Joy philosophy, which has been on my bedside table now for more years that I can remember, a reminder to always show gratitude especially for the small every day things that make life good. Incorporating hygge into our daily lives this week was easy to do from the cosy warmth of the kitchen, the heart of the home. 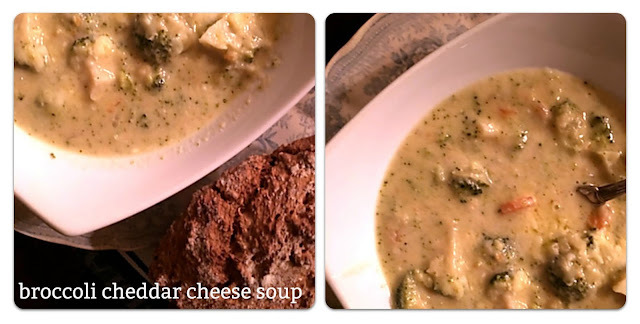 I made a wonderful broccoli and cheddar cheese soup from a recipe that I saw on Diane's Lavender Dreams blog, which she shared @ MM # 67. I baked a simple rustic Irish loaf, in the oven, to serve along with the soup. Click here for Diane's recipe, if you make this soup you won't be disappointed. Seville orange marmalade always seems to be something that people make in January so I thought I'd give that a try. I gathered all the ingredients together to follow the Delia Smith method but was shocked at the amount of sugar in the recipe. 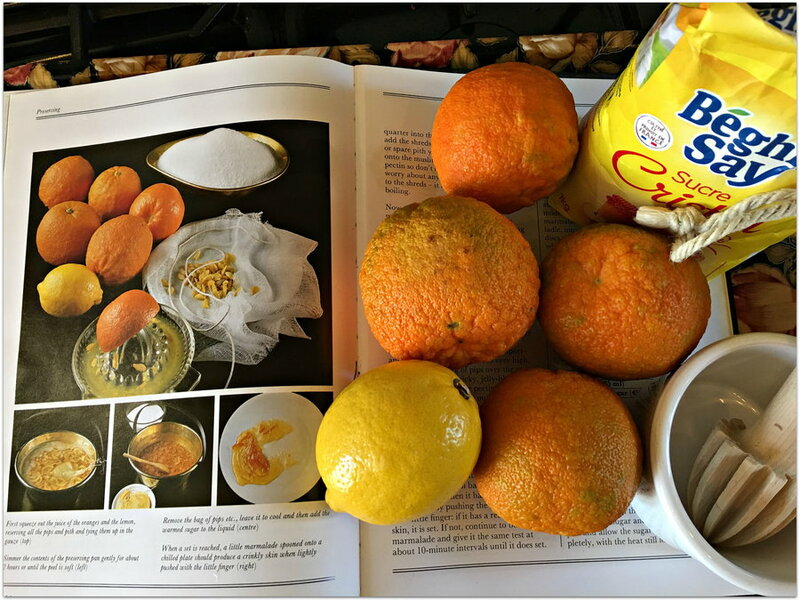 2kg of sugar to 1kg of Seville oranges! I called the Senior Partner in for a second opinion and his reaction was even stronger than mine, something along the lines of "are you joking, we can't eat that much sugar!" So, I put everything away again but not before taking a photo to show my good intentions. Since buying my bread maker I have been wanting to make a British classic tea time sweet treat and a childhood favourite - Chelsea Buns. It took me 30 minutes to gather the ingredients together, the bread maker took two and a half hours to make the enriched dough. Preparing and adding the filling to the punched down dough whiled away another 20 minutes then I read my book for half an hour in front of the wood burner as the buns, sitting in a baking tin on the hearth below, doubled in size. Finally it was into the oven with them for 20 minutes, after they had cooled slightly I drizzled them with vanilla icing et voila! How coincidental that we both mentioned hygge in our posts this week. Your version looks cozy and delicious. The Chelsea buns are beautiful. The thing about marmalade is that one only needs a little bit for the flavour, so the sugar is spread out - that's my story! Thank you for hosting MM, Maggie. I'll link up tomorrow morning. I've heard a lot about Hygge. I'm thinking that just as so many of us love to be surrounded by our precious treasures and bits and pieces, for many, a clean and simple space brings peace. I'm trying to b a little more mindful of what I have in my home, paring down a bit is a goal this new year. But I think I fall on the more than less side of the fence!! Thanks for another linky this week. 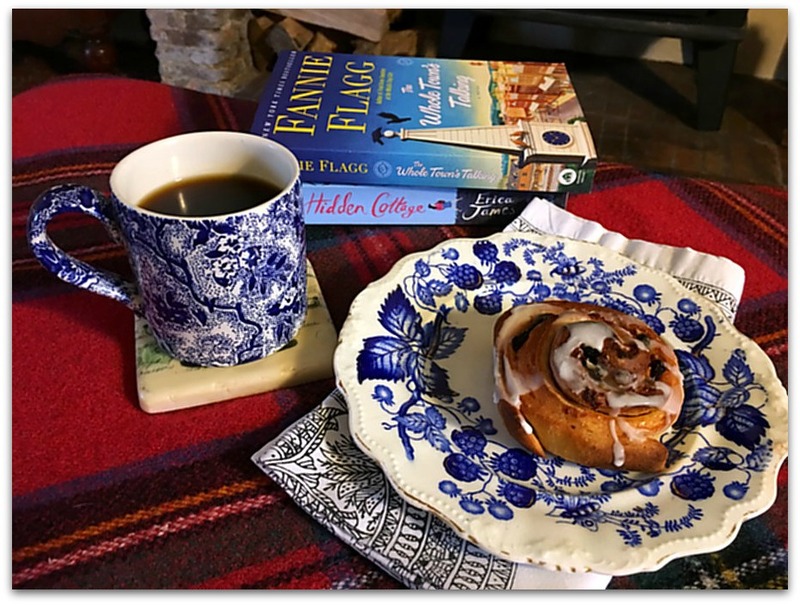 Hygge and Lagom both sound wonderful to me. And I am a fan of both cheese and broccoli. Very cozy--the way I like to be. In the evening we sit by the woodstove and I read or we just talk about the days events. Or we even actuallt think! I love the sound of Hygge and Lagom too.. Your life sounds so wonderful in rural Normandy and I just love hearing all about it. Hygge sounds good to me, Maggie. Last Winter we had a surplus of mandarins from our tree and we decided to make mandarin marmalade. It turned out to be wonderful and we are enjoying it now for breakfast during Summer. It is summer here, so no cosiness indoors, but we do escape indoors out of the heat, but salads are more of the go around here this time of year. Enjoy your hygge. It is certainly time for comfort food here today, with several hours of freezing rain predicted. That soup wou made sounds delicious, and we would be oassing on the marmalade too. Hygge was my word of the year last year and though it isn't my word this year, I still embrace it every single day. And I think soup and bread and wonderful smells of cooking and all is the best way to do it. Oh, everything about this post is setting off all my senses and making me want to run to the kitchen to make some fresh scones! Maybe I will! It's a dark, gloomy, rainy (going to snow later) day here. I think you've just inspired me! Maggie, just the thought of the cozieness of your home along with the aroma of baking bread fills my senses with untold delight. Oh, to have one of your Chelsea buns! My one atempt at making orange marmalade was totall failure. It was a huge waste of ingredients and time. I'll continue to buy our favorite brand. Thanks for hosting. My snowy day post is but a vision now. Texas weather is still grey but a blmy 70. Thanks for commenting on my blog. I remember back in the day when certain together were a big no no. Not only green and blue but red and pink and others also. When I worked at a Nursery---I was supervisor of the greenhouse and buyer of annuals, I also did classes in container gardening. I was told by a customer I HAD to use the color wheel (?) but I replied that Mother or God gave us all these flowers of all colors and they were intended to fill our yards and containers with riotous color.--I see no clashing colors. I could be wrong...but NO! As always Maggie you share the best ideas and photos. Thank you for your 69th Mosaic Monday, always appreciated. Hugs. Looks good! I like the plate too. Maggie - I never met a bread or bun or sweet roll that I didn't like, and both of your examples this week have my mouth watering. I can imagine the aroma of baking bread and cinnamon - hygge indeed! Your mosaics present them beautifully! Thanks for hosting! I love the Hygge concept. My daughter was in Finland this fall and she enjoyed the cosy room next to the sauna where her friends gathered to have warm drinks and snacks in front of the wood fire. We have such a long winter so keeping cosy is an absolute priority. 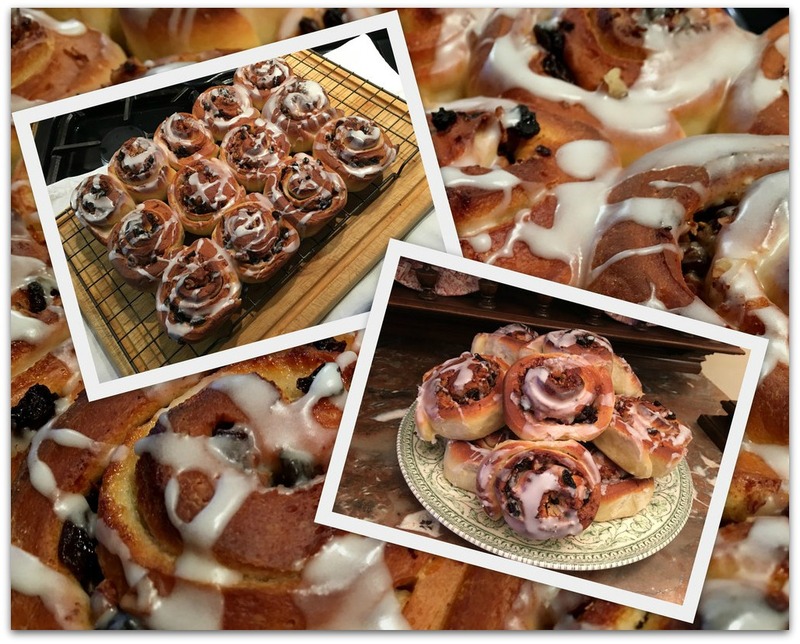 My husband discovered the breadmaker a couple of years ago so he makes cinnamon buns that look very much like your Chelsea buns. They look delicious Maggie! Thank you for hosting and for sharing your lovely home with us! Your post this week really feels as if you invited us all in for lunch ... cozy and comfortable for sure! As with every hygge article I’ve ever read however, it makes me realize I’m missing something by avoiding winter (and sweets as much as humanly possible darn it). 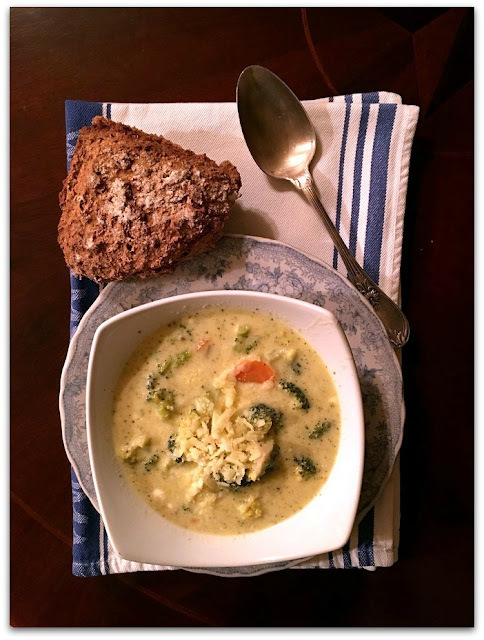 but I can make that soup ..(.I’d already saved the recipe from fellow-Floridian Diane’s earlier post)... and I will happily have to accept that my ceiling fans add as much to Subtropical hygge as fireplaces do in normal winter homes! Hi Maggie! Oh, your buns looks delicious! I love hygge very much. It's a great concept. Cozy foods are the best. Your post is VERY hygge! This is certainly a mouthwatering post!! Would loved to have tasted it all!! Have a grand weekend!